FinTech platform adds Stellar (XLM) to their growing list of collateral options, allowing XLM “HODLers” to find new utility for their coins. FinTech platform YouHodler continues to expand its global reach with a new collateral addition to their growing list. 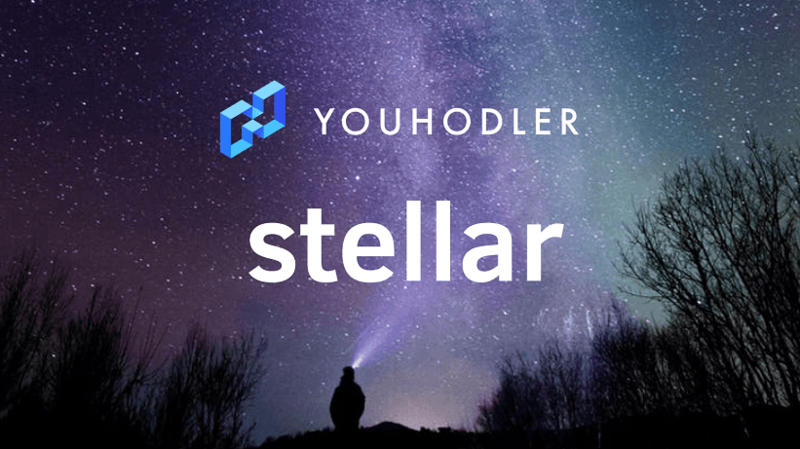 Due to popular demand from their community, YouHodler now includes Stellar (XLM) as their latest collateral option. The new listing comes just after the platform added BSV and will attempt to bring another sector of the crypto community to their service. Choosing XLM as collateral on the YouHodler platform allows users to receive a loan in EUR, USD or USDT. Using a credit/debit card, verified bank account or stable coin wallets, users can then instantly withdraw their loan from the platform. As the ninth largest cryptocurrency per market capitalization, XLM has proven to be one of the bear market’s strongest survivors with promising potential. With a total supply of 19 billion, XLM is currently trading at $0.086630 against the U.S. dollar and is close on the tail of Tether (USDT) for the number eight spot. The hype surrounding the coin continues to grow alongside Stellar’s partnership with IBM. Stellar, which is the main competitor to Ripple, aims to help IBM replace the current banking system in the South Pacific. Growing value aside, there are more important reasons for this addition for YouHodler according to CEO Ilya Volkov. Coming fresh off their announcements of a new affiliate program and direct to credit card withdrawal feature, the XLM addition is another highlight of a productive March for YouHodler. According to the team, DASH and ZCASH as collateral options are coming in the future as well. Instead of a pure crypto lending platform, YouHodler promotes itself as a FinTech platform that focuses on crypto lending but will eventually construct a more diverse ecosystem for global finance.